The start of the new Supreme Court term was dominated more by what the Court didn’t do, than what it did. Still, there are plenty of cases to track and we’ve rounded up a few previews and other SCOTUS-watching resources to help you follow along. LII Supreme Court Bulletin – Cornell’s Legal Information Institute provides previews of the 2014-2015 term with commentary on upcoming individual cases. The American Bar Association has an aptly titled publication called Preview that provides analysis of the term and also provides copies of all available briefs. PBS does a great job of covering the Court, posting both articles and commentary from the Newshour. 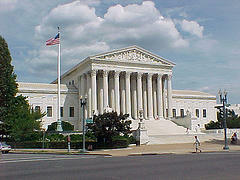 SCOTUSblog – considered one of the premier destinations for up to date information and analysis. For many years, Nina Totenberg has been recognized for her coverage of the Court. Follow her on Twitter at @NinaTotenberg. Jeffrey Toobin’s commentary can be found on a variety of platforms and does much of his Court writing for the New Yorker. With retired Justice John Paul Stevens in the news recently it seemed to appropriate to highlight his Green Bag Bobblehead, currently on display in the Gould Reading Room. 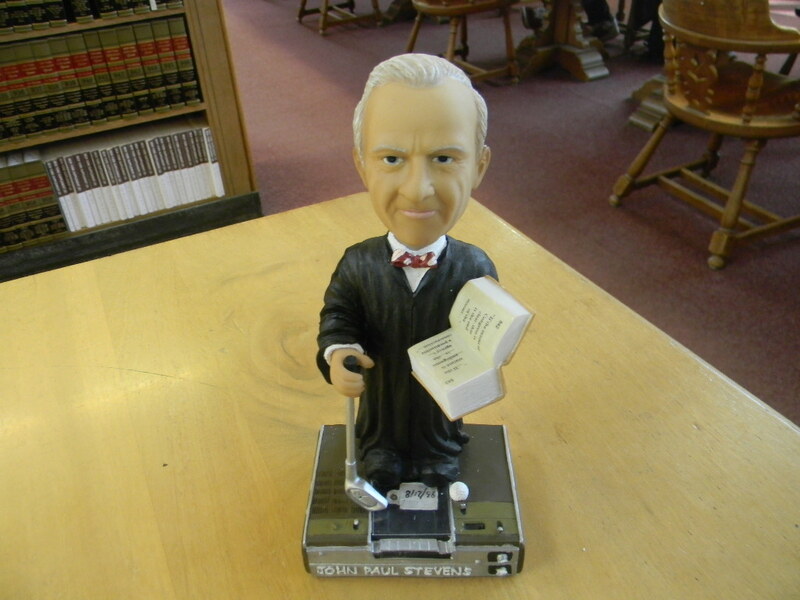 Stevens was the second justice to be bestowed with a bobblehead in 2004. As with all of the representations, the figurine features several unique traits commemorating his personality and jurisprudence. A detailed explanation of all of the features for Justice Stevens can be found here. Two of the more notable features include Stevens holding a golf club to represent his majority opinion in PGA Tour, Inc. v. Martin, 532 U.S. 661 (2001) and he also stands on a Betamax video player to represent his opinion in Sony Corp. v. Universal City Studios, 464 U.S. 417 (1984), which included a detailed discussion of the famed children’s television program Mister Rogers Neighborhood. Check back over the next few weeks as we’ll be taking a closer look at some of the other bobbleheads on display in the Reading Room. 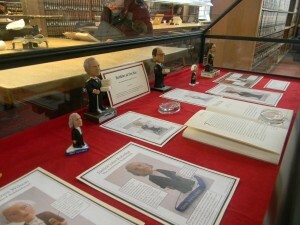 If you’re wondering why we have a bunch of bobbleheads displayed in the Reading Room take a closer look. These aren’t just random figurines collected from minor league baseball games, they’re unique (and rare) representations of Supreme Court Justices. 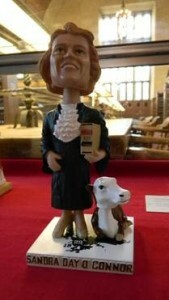 The creation of Professor Ross Davies of George Mason Law and Editor in Chief of The Green Bag: An Entertaining Journal of Law, the bobbleheads have become well known for their light-hearted representations of the personalities and passions of the members of the Supreme Court. Featured by CBS News, CNN, The New York Times and Politico among others, Law Library owns one of the largest collections of the bobbleheads and is currently exhibiting them this semester. Whether its Justice John Paul Stevens sporting a golf club to represent his majority opinion in PGA Tour, Inc. v. Martin, 532 U.S. 661 (2001) or Justice Souter wearing a gold chain to symbolize his role in Campbell v. Acuff-Rose Music, 510 U.S. 569 (1994) (a.k.a the 2 Live Crew fair use case) all the bobbleheads and the unique stories behind them are currently on display in the Gould Reading Room. Check back over the next few weeks as we’ll be taking a closer look at some at some of the unique and entertaining features of some of the individual justices. Last month the Supreme Court announced it would address the issue of the death penalty and the mentally disabled. The scenario is one that Cornell Professor John Blume has published on frequently throughout his career and he has recently been quoted in media reports detailing the court’s decision to clarify its death penalty jurisprudence by granting cert in Hall v. Florida. In Hall, the defendant faces the death penalty in Florida and the Court is considering whether his situation mirrors that of the Atkins v. Virginia, 536 U.S. 304 (2002) when the court held that executions of mentally disabled criminals are ‘cruel and unusual punishments’ prohibited by the Eighth Amendment. The Scholarship@Cornell Law repository is featuring two of Blume’s publications dealing directly with Atkins and the issue of mental disability in death penalty cases. The first, co-authored with Sheri Lynn Johnson and Christopher Seeds is titled An Empirical Look at Atkins v. Virginia and its Application in Capital Cases, 76 Tenn. L. Rev. 625 (2009). The article looks at data of decisions post-Atkins to examine the implications it has had on factually similar cases. The second, Of Atkins and Men: Deviations from Clinical Definitions of Mental Retardation in Death Penalty Cases, 18 Cornell J. L. & Pol’y 689 (2009) also co-authored with Johnson and Seeds, examines the cross-jurisdictional similarities and differences of how states’ define mental disability post-Atkins. For more on the latest scholarly articles from Professor Blume and the rest of the law school faculty visit the repository at Scholarship@Cornell Law. 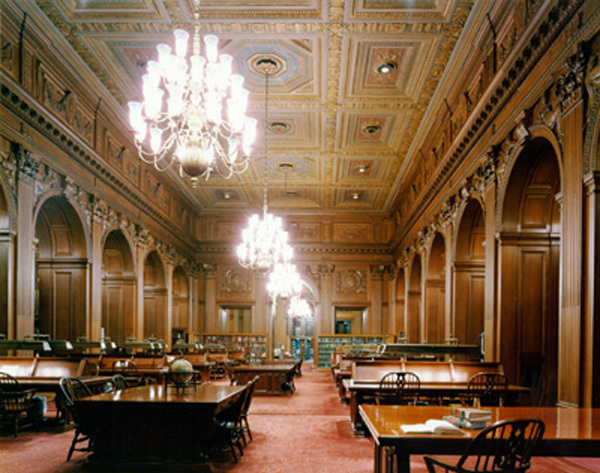 SCOTUSblog – considered one the premier destinations for up to date information and analysis. LII Supreme Court Bulletin – Cornell’s Legal Information Institute provides previews of the 2013-2014 term as a whole as well as previews and commentary of upcoming individual cases. When members of the legal community think about legal scholarship, what typically comes to mind is the concept of a print law journal (e.g., the Cornell Law Review, the Cornell Journal of Law & Public Policy, the Cornell International Law Journal, etc.). These works undoubtedly serve a very important function, but I wanted to write a bit about another relevant legal journal sited at Cornell Law School: the LII Supreme Court Bulletin. I am fairly familiar with this Web site, having served as an LII editor during the 2009-10 academic year (my now-outdated biography is viewable here). The LII Supreme Court Bulletin (“Liibulletin”) contains previews of cases on the Supreme Court’s (“SCOTUS”) docket. Because the previews are written with recourse to the relevant parties’ submitted briefs (the full versions of which are usually available here) and are published before the decisions are handed down, the previews generally reflect a balanced view of the legal issues unaffected by the bias of hindsight. Liibulletin is a fantastic resource for people who are interested in keeping abreast of SCOTUS cases, but don’t have tons of free time to do so (e.g., law students who have more than enough assigned reading for courses). But one of the really neat things about LII bulletin is that it is particularly comprehensible and may be utilized by people without legal educations or backgrounds. In order to ensure that LII previews remain accessible to lay persons, all the previews contain hyperlinks to a free legal dictionary and encyclopedia called Wex. You will also note, by the way, that this dictionary, although frequently embedded within Liibulletin, is its own free-standing resource. (1) A few key subject areas and descriptive terms. These lists of terms are useful since anyone can perform a subject-matter search in Liibulletin across SCOTUS terms. (2) An executive summary. This section, which is emailed to all Liibulletin subscribers, succinctly identifies the relevant facts, issues, and arguments of the case. It also generally addresses the legal (and, if relevant, nonlegal) significance(s) of the case. (3) Itemized questions presented. These are copied verbatim as provided on the Supreme Court’s case schedule. (4) Itemized issues. As I mentioned earlier, Liibulletin is published with the underlying goal of making the law accessible to the public. In this way, this section can be thought of as a simplification of the questions presented section. (5) Factual narrative. Predictably, this section tells a balanced story of the case and discusses facts pertinent to the controversy before the Court. (6) Discussion. This is the section that focuses on the greater picture. It calls into question the consequences of the case from largely a policy perspective. This section more or less explains the importance of the case. (7) Analysis. The analysis section is a detailed and balanced analysis and explanation of the legal issues before the Court. It typically goes beyond summarizing the parties’ briefs and actually synthesizes the lower courts’ opinions and the briefs submitted by amici curiae. (8) Conclusion. The conclusion essentially restates the executive summary by tying everything together. Once in a while, LII editors will include their own opinions about how the Court should rule. (9) Additional Sources. Each preview concludes with a list of additional legal sources that discuss the case. I absolutely encourage anyone (or better yet, everyone) with an interest in learning about the Supreme Court’s docket to peruse the previews. If you’d like to have the previews sent directly to your email address, you can subscribe to Liibulletin here. Photo courtesy of dbking’s Flickr stream. Still looking to do something rewarding in Washington, D.C. this summer? The U.S. Supreme Court has two openings for volunteer internships of up to twelve weeks specifically for law students. One of the openings is in the Supreme Court Library and requires some library work experience or progress on a library science degree. The other internship is in the Office of the Reporter of Decisions and is open to a law student who has editing experience. Details are available here. Hurry! Applications must be turned in by Tuesday, March 22. The first Monday in October is the official start of the U.S. Supreme Court’s new term. The nine justices, for the first time including three women, start right in on October 4 with oral arguments: 2 on Monday, 3 on Tuesday, and 2 on Wednesday. The cases on Wednesday focus on very personal stories. Snyder v. Phelps pits the grieving father of a marine killed in Iraq against infamous Rev. Fred Phelps, whose group displayed hateful signs such as “Thank God for Dead Soldiers” near the funeral. In Bruesewitz v. Wyeth, the Court will rule on the legal right of parents to sue when their children have been injured by vaccines, such as Hannah Bruesewitz who developed a seizure disorder after getting a vaccine when she was six months old. A great web site to find all the briefs on the merits and the amicus briefs is the ABA’s site for “PREVIEW of United States Supreme Court Cases,” which provides “expert analysis of the issues, arguments, background, and significance of every case slated for argument.” Another great resource for case previews is the Cornell Legal Information Institute‘s Supreme Court Bulletin, which provides case summaries and analysis written by Cornell Law students. If you can’t be in Washington this week, you can still find the transcripts and audio of the oral arguments. Check out “U.S. Supreme Court Oral Arguments: A Research Guide” by Cornell Research Attorney Matt Morrison for guidance. 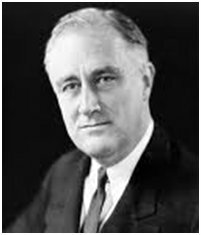 On this day in history–July 22, 1937–the U.S. Senate rejected the court-packing plan of President Franklin Delano Roosevelt (FDR) by a vote of 70-20. After his landslide reelection to a second term as president, FDR proposed to expand the Supreme Court by adding one new justice for every sitting justice over the age of seventy. This scheme was defeated in Congress, but in his next three terms as president FDR appointed all the members of the Supreme Court, and these new justices were much more aligned with his economic reforms.